The great weight and shadow spread. By the 1990s, the hifi metropolis was slipping into the darkest of dark ages. Colorless super-sized power-sucking sand amps of tremendous weight labored endlessly pumping perfect sound forever through gluttonous inert totemic towers. While sound and heat were put forth, no light was shed and only the chosen music played. Hope waned. 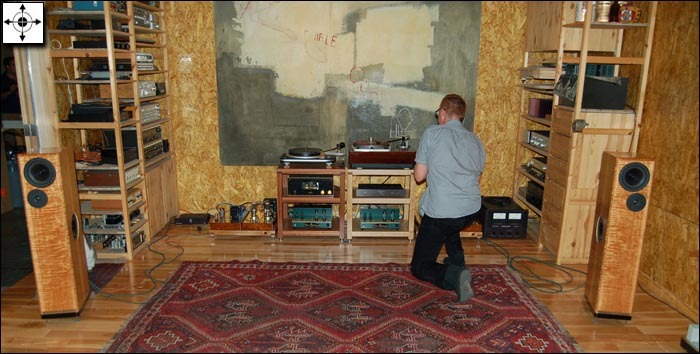 In faraway lands small groups of hifi guys had been silently studying and building upon on our nearly lost hifi heritage born of once fabled names like Western Electric, RCA and Altec Lansing. But the great ones' wares and ways had been all but abandoned and destroyed; cut from chains to smash on vacant theater floors or bulldozed into toxic rivers during the Great Modernization. All was nearly lost and most of what remained made the pilgrimage across the deep sea east. Then one day a few fearless studiers and builders began spreading the word that by coupling relatively low-powered vacuum tube amplifiers with high-efficiency loudspeakers we could mine Humanity's vast recorded musical treasures to once again enjoy listening to music on the hi-fi. The clouds broke, the light shone brightly upon them. 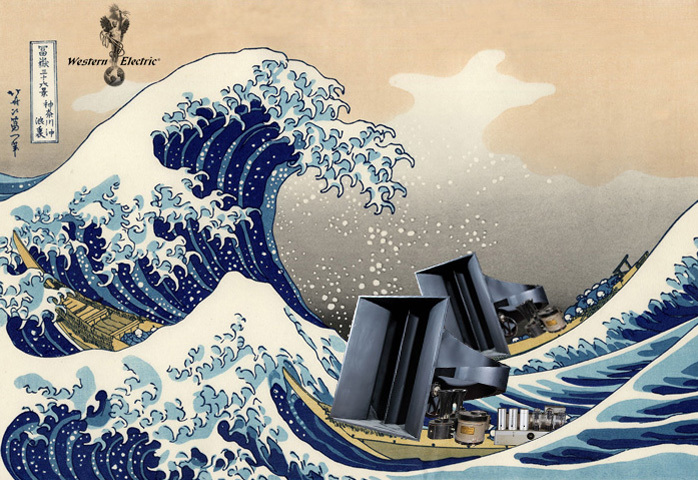 A pebble dropped into the Sea of Japan created a global tidal wave destroying the oppressive machine sound’s rule. Prevailing winds carried and brought forth this great yet gentle force first to France, splashing into Germany next and finally washing up on the shores of New York City where our story begins. Monkeyhaus VIII: The Return of JC! Extra. Extra. Read all about it! JC Morrison returns to the world of hifi! Extra, extra, read all about it! JC Morrison is that rare breed of hifi guy who speaks his mind and knows what he’s talking about. When you hear JC talk about hifi (or anything else), you’ll hear stories, lyrical tales of yesterday, today, art and technology intermingled like few can tell with an intensity and energy that few can sustain.The reason for this multi-dimensional fluency is a real knowledge of and deep appreciation for the art, science and culture that is hifi. And JC Morrison is making hifi again. If that ain’t news, I don’t know what is. 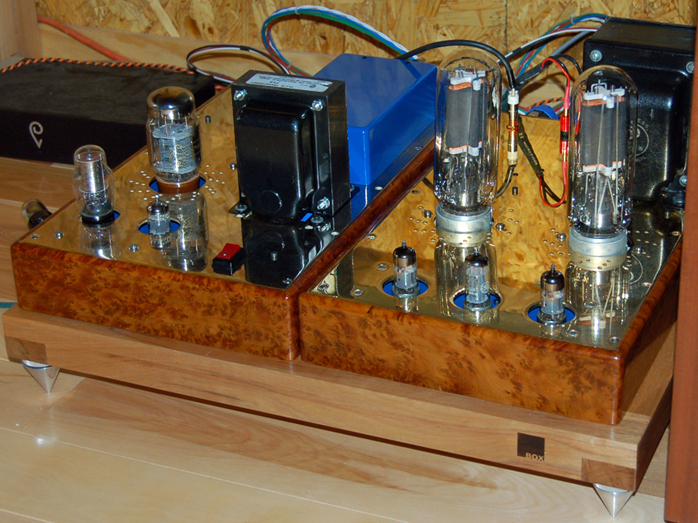 This mini Monkeyhaus was convened so we could sample JC's new 211 push-pull monoblock amplifiers. 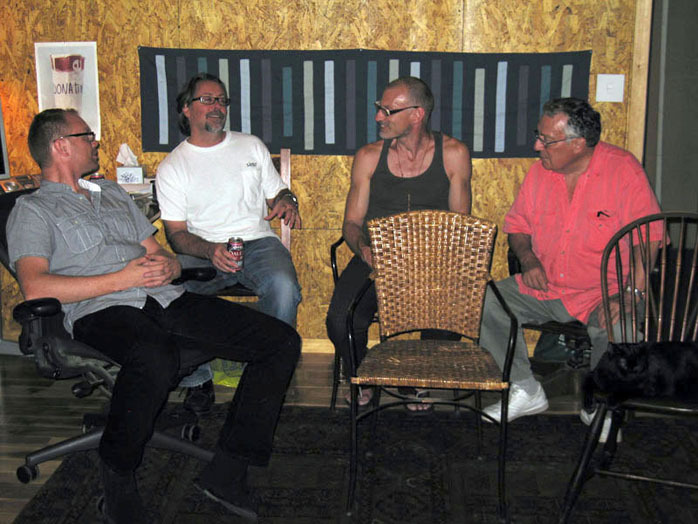 In attendance was JC Morrison, John DeVore aka Monkeyhaus proprietor, Jonathan Halpern of Tone Imports, Stephen Mejias of Stereophile and Herb Reichert, artist, teacher and writer. The rest of the system for this event included the Shindo 301 Player System, Shindo Vosne-Romanee full-function preamplifier and the DeVore Fidelity The Nines. "Artists and critics have nearly always pretended that they hate each other. Interpretation offends many artists or at least appears arbitrary and stupid, especially when it comes in the name or spirit of Science. I think this conflict is unnecessary. "HiFi always involves a mixing of 'separate' worlds: the practices of the creative artist (the musician and the audio software) and those of the interpreter (the listener and the audio hardware). This is an especially interesting thing to mull over if you are a designer of audio reproduction systems." You really should digest the rest of this wonderful article and you can when you order the Sound Practices Archive CD from Joe Roberts. To my way of thinking, an audiophile who’s never read SP is like a beret-less wannabe beat poet who’s never heard of Jack Kerouac. 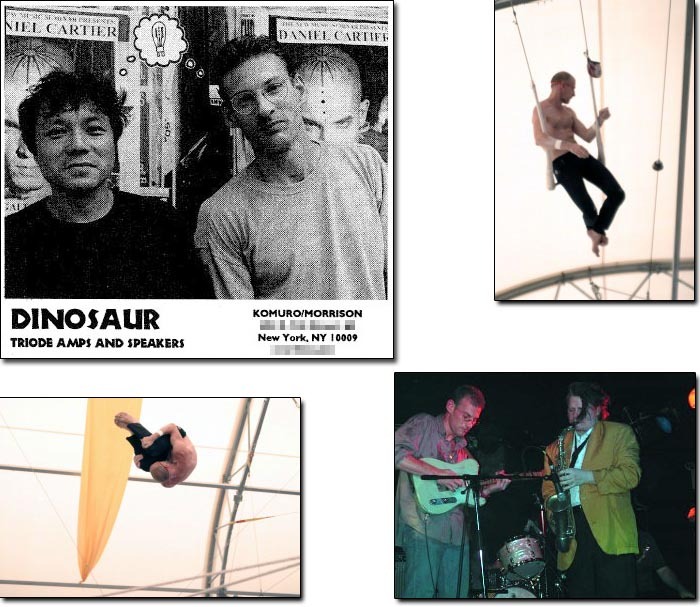 Maybe you also remember JC from the NY Noise Events he and Blackie Pagano organized back in the late ‘90s and early ‘00s where tube gurus, drag queens and the hifi demimonde (I mean that in the best sense of the word) came out to play music. Maybe you know him from his days as senior design engineer at Electro-Harmonix or when he worked for Richard Sequerra or with Don Garber to open Fi in 1992 at 30 Watts St. in NYC. 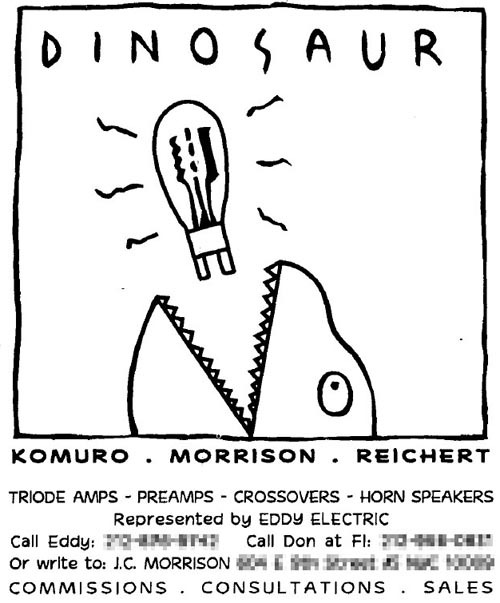 Maybe you’ve heard one of his bands like Bad Quartet (with William Parker, Daniel Carter and Suzi Ibarra, Dave Sewelson and Dee Pop as well as many others) or elvisbeatlesgod (with Masako Kawai, Gary Poulson, Maiko Endo, Kato Hideki and Andy Haas). Or the performance series 3rd Millennium Folk Music at The Rock and The Loft in Hoboken. Or from his soundtracks for The Isabel Fish and most recently, Queen Beetle Conquers Tokyo. Or maybe you were one of the lucky ones to have taken his analog sound design courses at Parson’s School of Design. Or better yet, maybe JC taught you how to fly through the air with the greatest of ease. 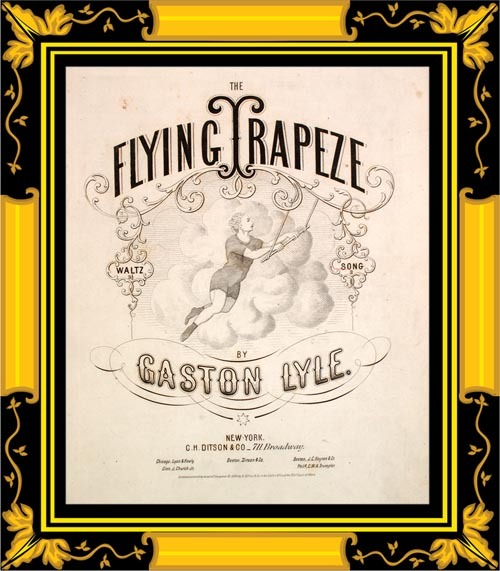 There appears to be, at least to me, some wonderful symmetry between the fact that JC teaches Trapeze (at the Trapeze School of New York) and his multi-dimensional and free-flowing view of all things.